The Hebridean is a small, hardy, coloured sheep originating on the islands off the west coast of Scotland. Its face and legs are completely black, and both sexes can have two or four horns. 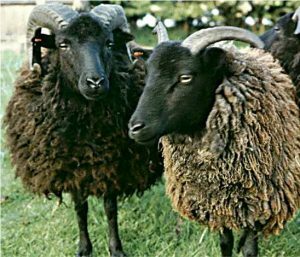 The fleece of Hebridean sheep is black or dark brown. The black tends to have a longer staple but often goes grey with age. The staple length is 6 to 21 cm.